I can’t believe it has been two weeks since I wrote a post. Downton Abbey came to an end. House of Cards has started anew…we have had time to watch only two episodes. I have a list of movies a mile long that I would like to watch, but have not been in the mood to view as it was difficult to stay awake just to watch my much beloved Downton say goodbye. In addition, I have survived another round of testing for my students…truthfully; all I did was administer the test, but I feel like I have been through battle. I tried to stay positive for them, but mentally I left school each day…drained, thus not one word was produced for my blog. Spring is in the air. The weather this past week was summer-like. I even wore a pair of capris…no worries I did shave my legs for the occasion. Peggy Anne came for a visit…she was in town to visit her mother who is recovering from a recent illness, but we did get to chat, & chat, & chat while Hubster fell asleep to the blissful hum of our voices. 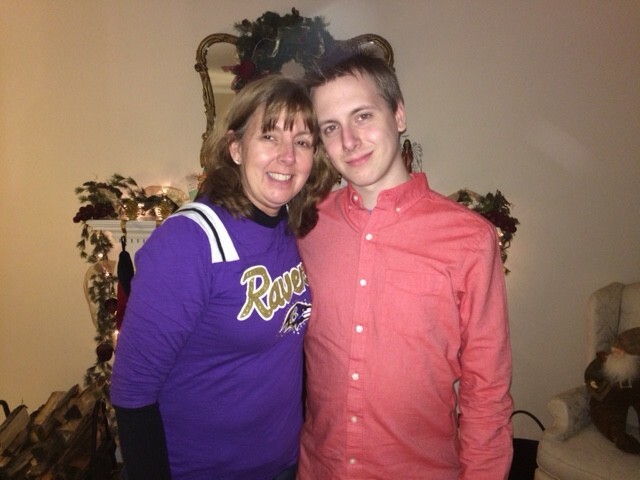 Today is Pi Day so that means I can run a repeat post for my #2 who celebrates 25 years of being our son…since he lives about 5 hours away this pie will, once again, have to suffice for a birthday cake…. 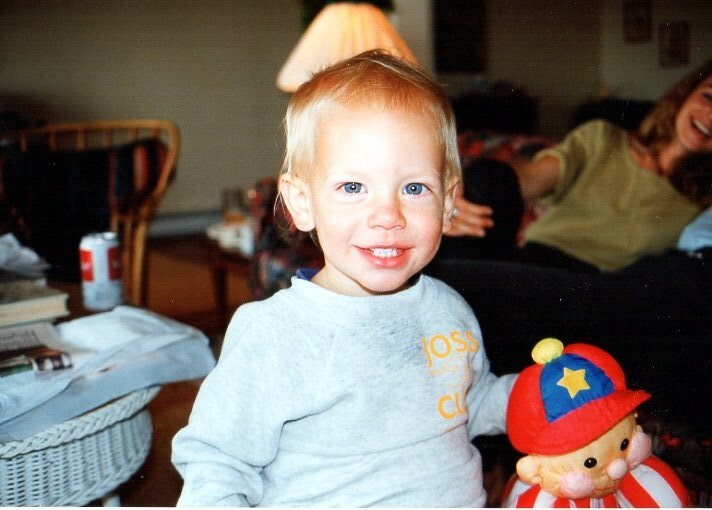 I still see my little boy. I still see the boy who was fearless. At four years old when you didn’t meet the height requirement for Space Mountain, you tried to talk your way onto the ride with your roller coaster resume. “…but mister I have been on the Comet at Hershey Park, the Grizzly at Kings Dominion and the Loch Ness Monster at Busch Gardens…please, I am tall enough…please, let me ride.” Those Disney attendants are sticklers for the rules. 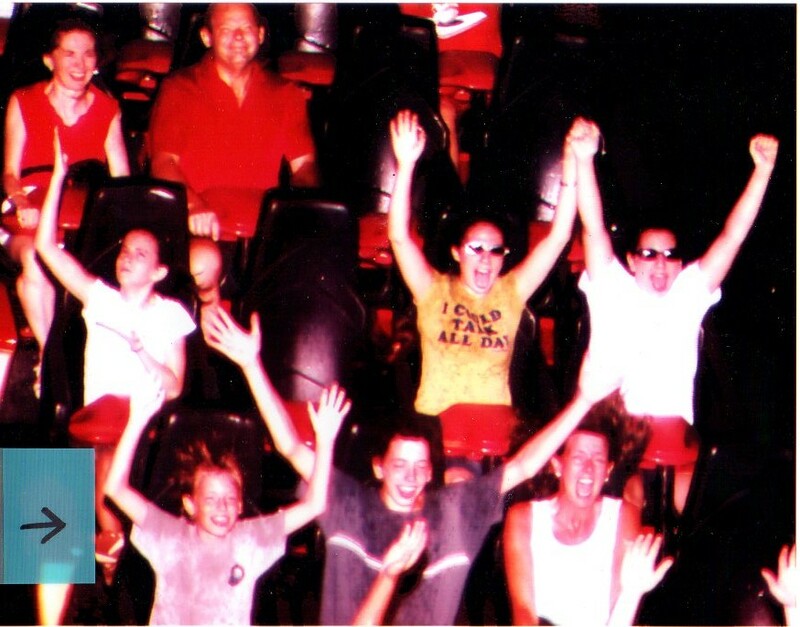 The only photo of you on a roller coaster. You and your brother…hands in the air…me…holding on for dear life, but my teeth look nice and white. 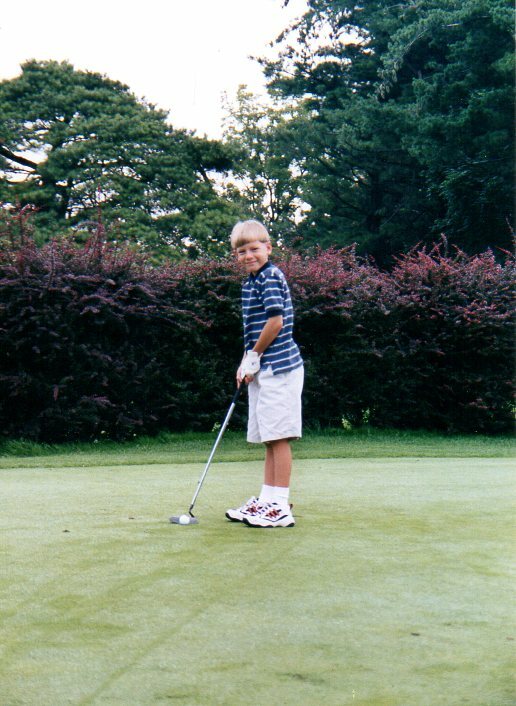 I still see the boy who carried and swung the clubs, but was way more interested in driving the cart. 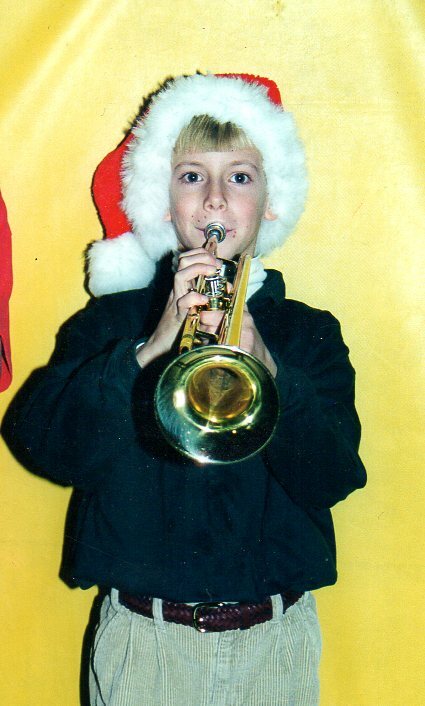 I still see the boy who believed in Santa, the Easter Bunny and the Tooth Fairy…even though that pesky tooth fairy forgot to take the tooth from under your pillow and somehow left the dollar bill in my wallet a few times …That was so strange! Your musical career was 4 short years, but when you practiced at home it seemed more like a decade. You got your bike and helmet out of the shed and said your were going for a ride. Two hours later you returned. While I was not thrilled with this little venture into the world of quasi-credit I knew you were going to be okay. Nothing could hold you back. 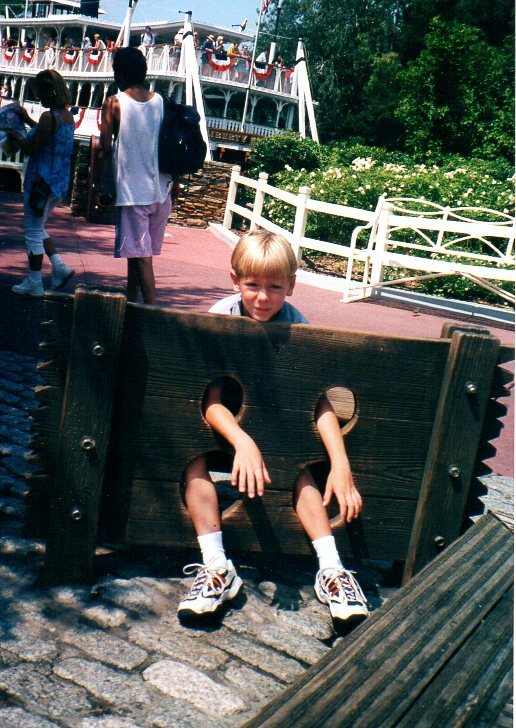 Not even the stocks…for the record this is Disney…our stocks had smaller holes…just kidding. I see the man who has made his way in the world and will continue to do so. iPhone photo…always adds 15 pounds and years on me…for some reason it doesn’t do this to anyone else. Oh and your father says Happy Birthday too! Beemie.. love the pics of your son. Happy birthday to him. Glad you survived the testing. 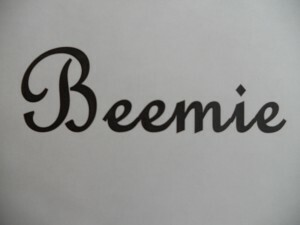 Have a great week, Beemie. Aww! I have one turning 20 next month and it’s killing me! What a wonderful son you have and so many good (and funny) memories. Happy belated birthday to your son. 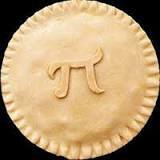 And happy belated Pi Day. The pictures are so sweet and really tell the story of a young man of great determination. Love it!